This is not the first time that Google has been accused of collecting data from its users in an unclear and transparent way. The European Union is already in a state of fury and wants to apply its regulations to the American tech giant as well. A new study reveals that through Chrome on Android, the company collects 10 times the data that it collects through Apple iPhones via Safari. But if you think about it for a second, this is all to be expected, since Google and Apple operate in two completely different ways. EU vs Mountain View: who’s being evil here? Google is, again and again, the subject of many studies and surveys. Douglas Schmidt, a professor at Vanderbilt University, published a paper in which he examined the data collection of two of the largest tech giants: Apple, whose value recently reached the trillion dollar mark (that’s $1,000,000,000,000) and Google. 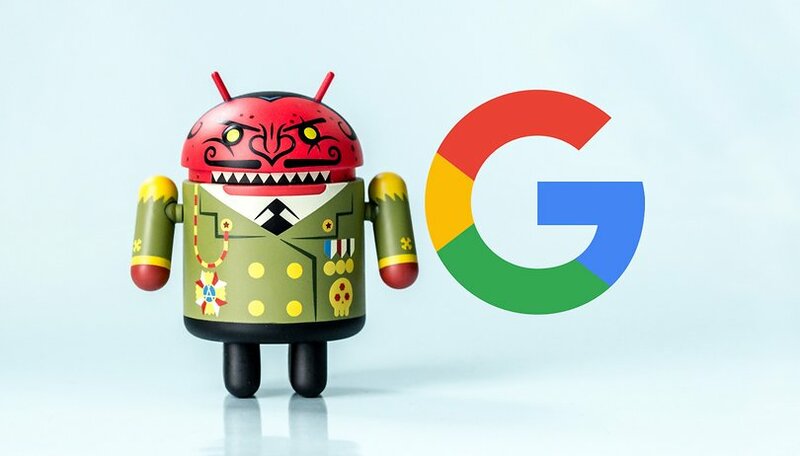 More specifically, the data presented in the paper deals with the number of connections and data sent to Google servers via an Android device equipped with Google Chrome as its browser and an iPhone with Safari. Both were evaluated while they were idle, meaning while they weren’t actively used. As you’d expect, the result wasn’t favorable for the world’s most popular mobile operating system. To give a practical example, the Android smartphone with Chrome sent data about the device’s location 340 times within 24 hours, which is about 14 times per hour. This means that Google receives 50 times as much data from its own devices in comparison to Apple devices. Read that last sentence a few times slowly: are you really surprised? I mean we’re talking about the number of times that an Android smartphone connects to Google’s servers compared to the number of times an Apple smartphone connects to Google’s servers. I don’t know about you, but I think people have taken for granted that Google has more control in a system where it controls everything from top to bottom (including the browser). Furthermore, anyone using Android or Chrome needs to accept the conditions of use, where data collection is mentioned. “But yes, the iPhone only sends a tenth of the same information to Google,” you’ll say. How can it be doing any wrong? In the end, the data was readable in plain sight in Professor Schmidt’s paper. You have to keep in mind the basic philosophy of the two tech giants: Apple doesn’t collect the data and doesn’t earn money through targeted advertising. Google implements this marketing strategy to a tee, so it has a vital need for this data. That’s doesn’t mean Apple, iOS and iPhone are safer because they collect less data, it simply means that Apple doesn’t base its entire strategy on collecting, analyzing and selling user information. However, this also shouldn’t be seen as an excuse for Google. The amount of data collected is gigantic and doesn’t only concern the location of devices. The company should review its agreements with users by clearly highlighting the data collected and the frequency with which it is sent to its servers. It should also give everyone the opportunity to deactivate this function quickly and unambiguously, which isn’t normally the case on Android and has already led to a conflict between the EU and Google. Google can take all my data if this means having better service. What do you think about this whole situation? Are you worried about your personal data? And, as a result of all of that location sampling, Google has fantastic traffic information in maps. Isn't that what you want? I believe that there are a lot more companies that mine user data than we know. The truth is that data collection is a way for them to improve their services. If you want relevant info to make decisions like where the best prices are for shopping our restaurant recommendations, then sharing your info is necessary to get that. Do I agree with the practice of them not being transparent about it, no. But it's a fact I'm willing to live with since I'm not doing anything that I wouldn't want someone to know. And if you don't use chrome? I use less and less of Google apps and services all the time because of these sorts of shennanigans. And why on Earth would you leave location permissions on for your browser in the first place? You want convenience; it comes at a price. I'm ok with it as long as it's not being sold. Ever wonder why Google maps is so much better than Apple? The people wanting out of location checking will be the first ones to gripe when maps doesn't show accurate traffic situation. "Gee, Google maps used to be so good at routing me around traffic now it's no longer good," they'll say. If you ask them to turn on tracking to be a part of the community and help they'll say, "Hell no, I don't want Google to know where I'm at." Either you're part of the solution or you're part of the problem. You're right. But the people who care enough to read and know how to tweak settings are a small part of the Android user population. So to a larger degree, the knowledgeable can ride the backs of the less knowledgeable. The ethics of which are left as an user exercise. Let's make a small calculation: one day has 24 hours of 60 minutes, each with 60 seconds, so 86,400 seconds in total. If Google "spies" me 340 times a day, that means "I'm spying" every 254.12 seconds, or 4.23 minutes. Hmmm, it's still weird, because they are not whole numbers, the result is with commas! And obviously, "this" is made transparent, meaning I'm not getting any notice of it. But do you realize what it would mean to receive 340 warning messages every day ? !